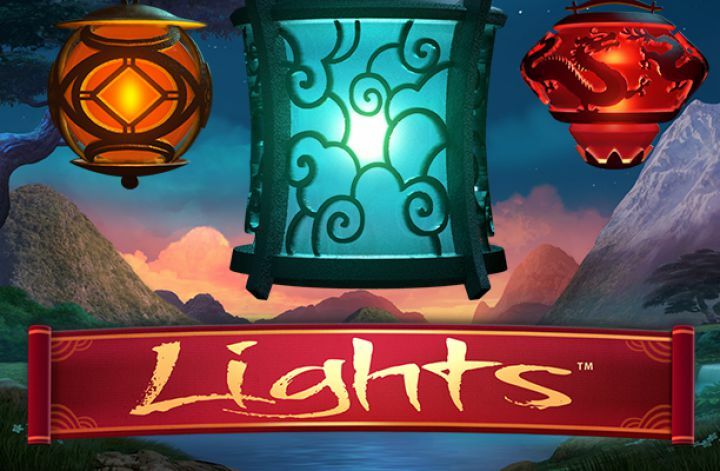 A bright, fun, happy, oriental themed slot that revolves about lights. 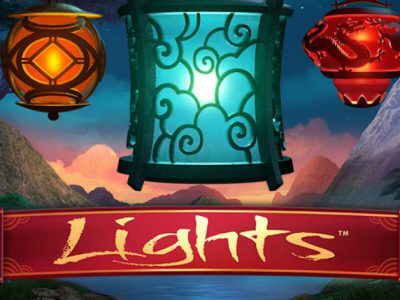 On the reels you’ll find beautiful imagery of many different types of lanterns, giving this slot a nice comforting vibe. So if after a long day you want some relaxation, this slot is the perfect fit. The lights slot comes with an easy to understand set-up. It has 9 paylines and 5 reels. The RTP comes at a very decent percentage of 96.1%. Like I mentioned above, on the reels you’ll see a lot of different types of lanterns. This slot plays on the tunes of some very nice oriental background music. Every symbol and image you’ll come across on this slot takes you to oriental/Chinese atmospheres. So let’s assess which symbols and combinations are worth coming across on the reels of Lights slot. First of all: the scatter. It looks like the Ying Yang image. Then next up is the innovative ‘random Floating Wilds’. This is probably the most exciting, unusual and fun aspect of this slot and also what makes it stand out. While spinning the reels, fireflies will start appearing on your screen and they bear great opportunities to prizes. These fireflies activate the Floating Wilds, which basically increases your chances on winning big massively. If you get 3 or more scatters on the reels you’ll get free spins. The amount will move up simultaneously with the amount of scatters you get on the reels. The best symbol of all are the red lanterns because they are your way to winning the jackpot. If you get 5 of these on an active payline you’ll be awarded the jackpot which comes at an amount of 1000 coins. 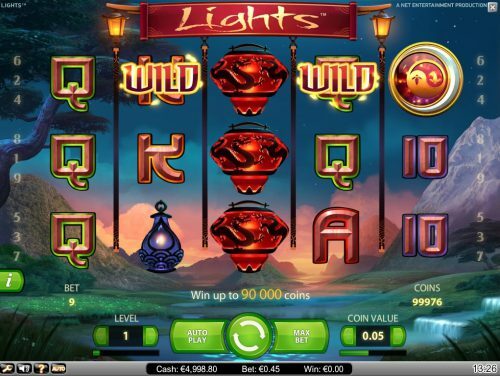 The Lights slot is developed by online gaming icon NetEnt. 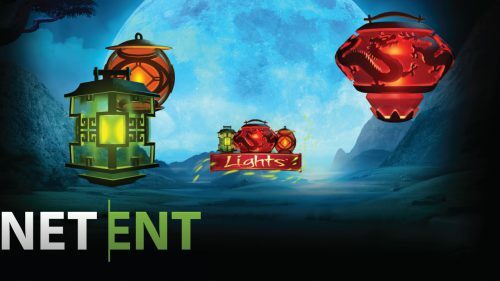 While they’re renowned for their excellent progressive jackpot slots, NetEnt does a lot more than just that. They love creating slots with a somewhat mystical theme, such as also this Lights slot. Even though it’s not progressive, it has become a very popular choice amongst casino players. Maybe it’s the excellent graphics, the exciting bonus games or simply the fact that NetEnt slots are hard to resist. This slot has a jackpot prize of 1000 coins. As you can imagine this can turn into some really decent prizes. You’re free to choose the amount of your bet between the coin sizes of 0.01 to 1. You’ll see where to do that on the bottom of your screen. Simply use the arrows to move the wager up or down. Additionally what you should know about this slot is that it has an RTP of 96.1%. For your comfort, there’s an autoplay option which upon activating will make the system start spinning the reels for you until you tell it to stop. Such convenience.